Chef Daniel Hiltbrunner, the certified Master Chef, wears many hats – Executive chef, chef instructor and a certified WACS judge with an extensive international judging experience. 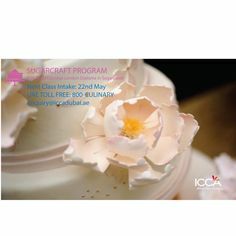 Along with being the Master Chef Instructor at ICCA Dubai, he is also a member of the prestigious Academy Culinaire de France and La Chaine des Rotisseurs (CDR). 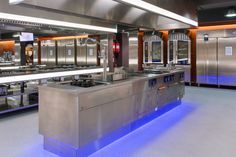 His F&B industry service experiences include almost three decades in various capacities which encompass stand-alone fine dining restaurants, hotel openings with international hotel chains such as Hilton, Parkroyal, and Accor together with large scale production kitchens in Convention Centers. 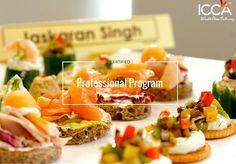 During one of his busy mentoring days at ICCA, we managed to get him spare some time to share his journey of experience in the world of culinary. How did your culinary career begin and what inspired you for it? My tryst and love for food started early on in life, and with it came the fascination for ingredients, creating different kinds of culinary fares and learning techniques that as a young chef in Switzerland, was quite exciting. To begin with, I got my chef certification in Basel, Switzerland, and later on in Australia, I obtained my City & Guilds Chef qualification and Advanced Diploma in Hospitality Management at Swinburne University, Melbourne. Did you know that you wanted to become a chef when you were growing up? As a growing up lad, I wanted to design jewelry and was also inclined to be an architect. However, since my parents couldn’t afford to send me to university, I decided to start early in life. Got myself a job as a cook, fell in love with the art of cookery and since then I have never looked back as a Chef and now as an Instructor. That’s interesting. Tell us how your career as a chef has unfolded. I have been working in the F&B industry for over 30 years. Having begun my career from Switzerland, I have worked in the USA, New Zealand, moving on to Japan and then Australia. 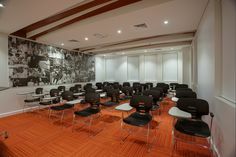 It was in Australia that I also first started teaching Culinary Arts at HTA (Hospitality Training Association), Brisbane, as Culinary Teacher and Assessor for TAFE Colleges, in compliance with HACCP & ISO 9001. In 2012, I moved to UAE and worked with Novotel & Ibis Gate hotels in Abu Dhabi and in 2013 with Al Ain Rotana, both as Executive Chef. 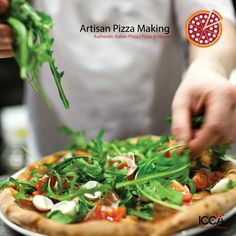 Eventually, I joined ICCA Dubai to use my expertise to drive individual performance through engagement and empowerment with a focus on teaching, coaching and mentoring young chefs and aspiring talents in Culinary Arts. You have earned several culinary credentials. Could you please tell us something about it? 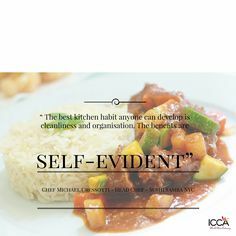 In the many years of service, I have earned several qualifications and certifications in Culinary Arts, some of which include Australian Culinary Federation (ACF) MasterChef, ACF Chef de Cuisine, and Swiss Federation Chef Trade. I am also an honorary member of the Conseiller Culinaire Bailliage National d’ Australie Honoraire, Member of World Association of Master Chefs Asia since 2009, and was also the Australian Culinary Olympic Team Member in 2008. In 2011, I was invited to join the prestigious Academie Culinaire de France due to my continued commitment to the profession; training and guiding young chefs for the industry and competitions. Following my arrival in the UAE, I joined as a member of the Emirates Culinary Guild. When did you start as a culinary judge? My role as a Culinary Judge started in 2002 as an International Competition Committee Member & Chief Judge of Les Toques Blanches. Since then I have been regularly judging international culinary competitions for Emirates Culinary Guild, World Chefs (WACS) and La Chaine des Rotisseurs. Recently you mentored the UAE representative Sasha Venessa at the Young Chef Olympiad in India, how was your experience there? Young Chef Olympiad was an interesting experience for me. Events like these give us the opportunity to meet and interact with mentors from around the world and discuss the industry challenges in the world of culinary. This competition involved a lot of travelling within the country which kept the schedule hectic but extremely productive. And, above everything, mentoring Sasha was a pleasure to me. She is an excellent candidate. She managed to give a tough competition to the top young chefs from the world over although she had only limited time to prepare for the competition. With the kind of attitude she has, I am sure she will achieve a lot in future. 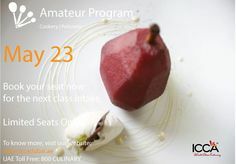 I have been associated with ICCA Dubai for over 2 years now as a Master Chef Instructor in Culinary Arts & Hospitality Education and Training. As a Chef Instructor, according to you apart from creating great food, what are the most important qualities that make a successful chef? No matter how good you can cook you should be humble and open enough to learn more. Also, being a good team player can take you to greater heights in your career. What is your take on the recent trend of cookery as entertainment? Cookery and reality shows on television are a good medium to bring awareness about the industry among the people. It gives a basic idea of having a career in the culinary industry, but at the same time what people need to understand is that these cookery shows on TV are far from reality. There are chefs in the actual kitchen who create masterpieces every day but how much do we see them on TV? So for me, these kind of shows are for pure entertainment and shouldn’t be given more importance than that. 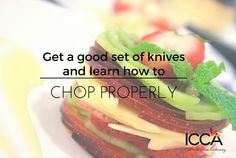 Our young chefs would be interested in knowing the knife brand you prefer to have in your kitchen. As a Swiss, I give preference to Victorinox, my first set of kitchen knives that I got for myself and which I use till now. It is a clichéd question to ask a chef but still, what is your speciality dish? Zurcher Geschnetzette with Rosti, which is a traditional Swiss Dish and the very first dish I ever cooked for my wife. Please tell us your kitchen motto?